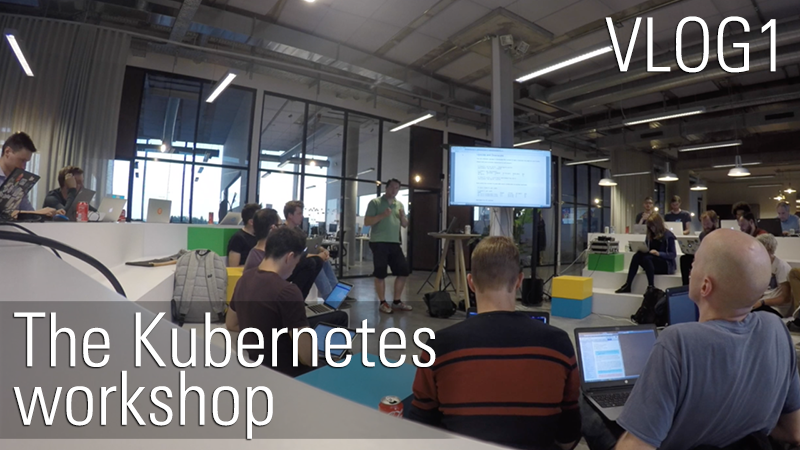 Last week I attend a Kubernetes workshop that was organized by the Belgian Docker meetup group. The Kubernetes workshop was lead by Benjamin Henrion. The course material can be found on his website. It’s a way to schedule and orchestrate containers on a cluster of servers. The main use case is Docker, but Kubernetes also supports other containers engines. FYI: the tutorial part starts at 3:46. The Hello NodeJS sample application was part of Benjamin’s workshop. Since I talk about it in the video, I decided to upload the code to Github. Dockerfile: defines the container image in which the NodeJS server is included. run.sh: a bash script that calls the necessary commands and that builds the container image, schedules the container deployment, exposes the service and runs the service. Want to learn more? Go to the Kubernetes website to read the docs. First I would advise you to read about the core concepts before eventually reading the full documentation. There’s an interactive tutorial on the Kubernetes website that takes you on a journey to learn Kubernetes.